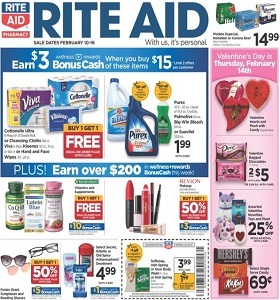 Rite Aid Weekly Circular February 10 - February 16, 2019. Happy Valentine's Day! Rite Aid Weekly Circular February 10 – February 16, 2019. Happy Valentine’s Day! -$6.99 Nature Made Select Vitamins B, C, D and E; $19.99 Amope Pedi Perfect Foot Files.